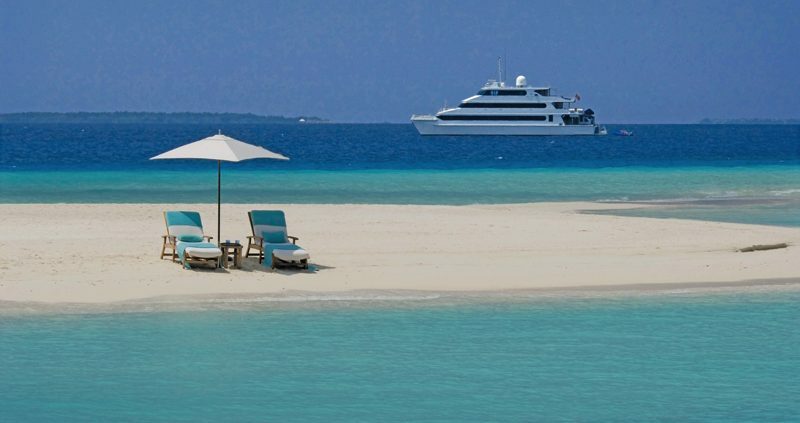 The Four Seasons Explorer Yacht is the perfect way to cruise and stay in the Maldives, in pure luxury. At the Four seasons resorts you can, Cruise and Stay between the Four Seasons Resort Maldives at Kuda Huraa and the Four Seasons Resort Maldives at Landaa Giraavaru on board their luxury catamaran the Four Seasons Explorer Yacht, which departs from Kuda Huraa on Mondays and Landaa Giraavaru on Thursdays. 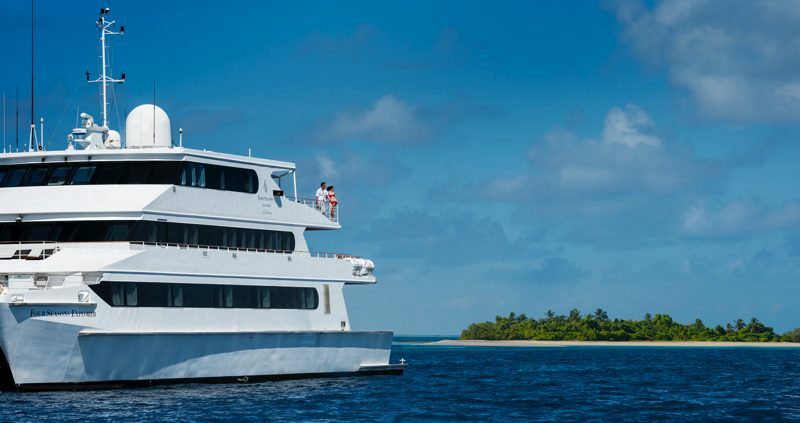 The Four Seasons Explorer Yacht, is a 39 metre (129 foot) 3 deck catamaran, which can take a maximum of 22 guests on a cruise in to the Maldives. 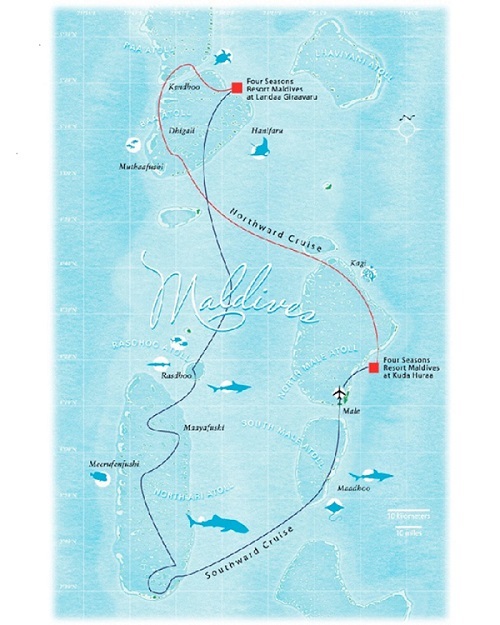 It is the fastest and most luxurious liveaboard in the Maldives. This luxury liveaboard visits isolated reefs and dive sites, uninhabited beaches and secluded inhabited islands. This is a luxururious way to spend your cruise and stay holiday. Giving divers the opportunity to dive up to 3 times a day. Don’t worry if you do not dive, you can also snorkel, water-ski, fish, kayak and sail. 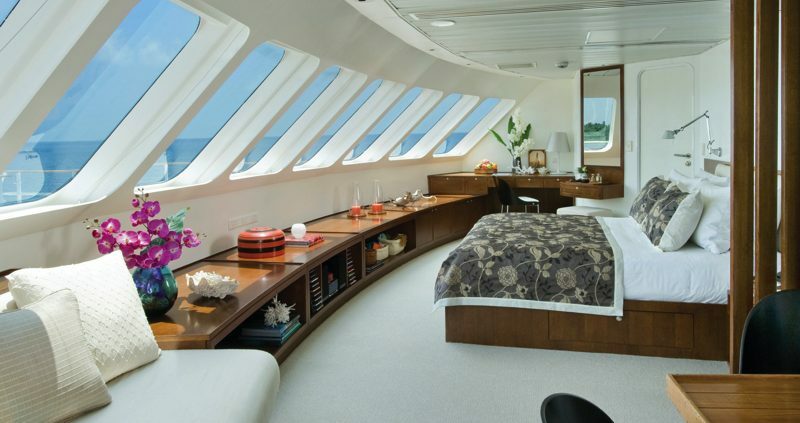 On the Four Seasons Explorer Yacht, you and chose to cruise for three, four or seven days. Each cruise includes visits to several sites, specially selected for the exceptional diving, snorkeling, and surfing and for relaxing on deserted beaches. You can even relax with an open air massage or eat a gourmet meal, on board or on a lovely beach setting. It’s the perfect holiday in the Maldives. Choose to take either a northbound or southbound trip on the Explorer, or extend your holiday and do both routes. Each August, it plays host to surfing’s hottest invitation-only event: the Four Seasons Maldives Surfing Champions Trophy.